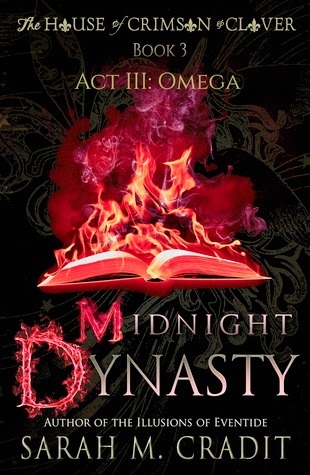 Midnight Dynasty is a 2014 publication. I was provided a copy of this book in exchange for an honest review. OMG!! Whoa!! Wow! What on earth just happened? Alright, here we are on Act 3 and I am just now having that AHA! moment. Now it's all starting to come together and while I thought I knew where this all might be headed I never guessed this was the path that would finally give the Deschanel's another theory to work with and now they appear to be mulling over the possibilities. But before those seeds can be planted in their minds, there are several mind blowing occurrences that will leave you feeling shocked and numb. The ultimate sacrifice will be made for love and family, but the outcome is still up in the air. As the third part of the Midnight Dynasty serial begins, Tristan is going over old ancestral journals his mother left him in hope that in them he will find something she failed to see that would help stop the family curse. But, Tristan can find nothing but frustration and the curse continues to reek havoc on the Deschanel family at an alarming rate. Despite the kicks to the gut I received, and at one point the necessity of putting the book down for a little while, so I could gather my thoughts, I did feel that of all the chapters thus far in the Midnight Dynasty series, this one has the most uplifting ending, daring even to use the word “hope”. So, while I understand the curse may not be over just yet, there may be a way to figure out how to break it and I will even go out on a limb and say that perhaps this part of the series will merge seamlessly back into the stories of Ana and Finn and that part of the family. Either way, I plan to have front row seat!! This one is 5 stars. 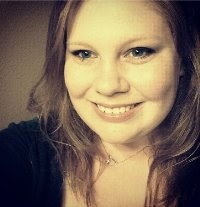 I just wanted to tell you that I nominated you for The Liebster Award! (.